President Cyril Ramaphosa is set to serve as co-chair of a two-day Forum on China-Africa Cooperation (Focac) summit in Beijing from Monday. Multi-billion rand agreements entered between South Africa and China will enable economic growth and educational opportunities, among other benefits, President Cyril Ramaphosa’s office said on Monday. One agreement alone – on investment and trade promotion between the two countries – carries a monetary value of approximately R14 billion, the Presidency said in a statement. Ramaphosa, who concluded a state visit to Beijing on Sunday at the invitation of President Xi Jinping, was set to then serve as co-chair of a two-day Forum on China-Africa Cooperation (FOCAC) summit in the city from Monday. 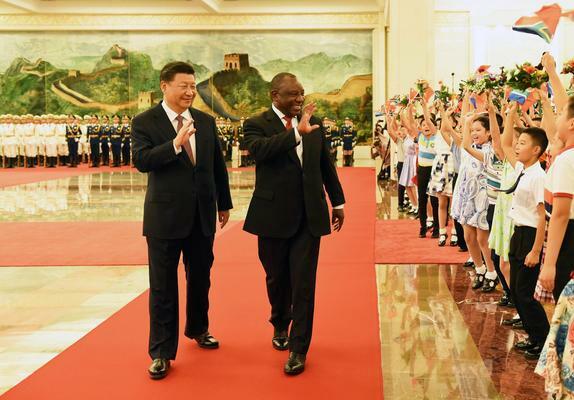 At the weekend, Ramaphosa and Xi witnessed the signing of agreements including commitments on cooperation in climate change, water resources, transported related infrastructure, and refurbishments to a number of technical and vocational training colleges in South Africa. South Africa’s Department of Trade and Industry and China’s National Development and Reform Commission also pledged to cooperate on international investment promotion for the African country’s special economic zones and industrial parks, including a 4 600 MW coal-fired plant, a cement plant, and other metallurgical projects. “The projects will see the investment, planning, constructing and operation of coking, ferromanganese, ferrochromium, silico-manganese, stainless steel, supporting administrative service centre and living areas, highways, and a shipping integrated logistics centre among others,” the Presidency said. It said most of the agreements were aligned to commitments made during the FOCAC summit held in Johannesburg in December 2015.